All UFC athletes are subject to the World Anti-Doping Agency (WADA) Prohibited List, which is updated annually. Under the current WADA Prohibited List, IV infusions are considered a prohibited method, including those used for rehydration, as described below. As always, athletes are strictly responsible for the use of prohibited methods and for any prohibited substances found in their body. Below is important information about the IV rule, why IVs are prohibited, and how athletes can best protect their health and safety. All IV infusions and/or injections of more than 100mL (~6.8 tablespoons) per 12-hour period are prohibited at all times, both in and out-of-competition, except for those legitimately received in the course of hospital treatment, surgical procedures, or clinical diagnostic investigations, without an approved Therapeutic Use Exemption (TUE). 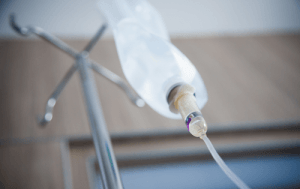 If a prohibited substance of any amount is administered intravenously or via injection, a TUE is required for this substance regardless of whether the infusion or injection is less than 100mL. Infusions or injections are permitted if the infused/injected substance is not on the Prohibited List, and the volume of fluid administered does not exceed 100mL per 12-hour period. To protect clean sport and athlete health and safety. In terms of doping control, it is a fact that IVs can be used to change blood test results (such as hematocrit where EPO or blood doping is being used), mask urine test results (by dilution), or administer prohibited substances so they will clear faster from the body. WHAT ARE THE HEALTH RISKS OF IVs? Potential risks and complications of IV therapy include infection, cellulitis, inflammation of the wall of a vein with associated thrombosis, bleeding, hematoma/arterial puncture, unintended leakage of solution into the surrounding tissue, air embolism, and needle stick to the provider. Inappropriate levels of electrolytes given by IV can also have serious cardiac, muscular, and nervous system effects, which could result in death. ARE IVs BETTER THAN ORAL REHYDRATION FOR PERFORMANCE? There is no convincing research to support the use of IV fluid administration prior to competition for performance enhancement, rehydration, dehydration prevention, or muscle cramp prevention. Current studies do not support the use of IV fluids for rehydration when an athlete can tolerate oral fluids. IV infusions before sample collection could actually prolong the doping control sample process because there is greater potential for multiple dilute samples. HOW CAN I REHYDRATE AS QUICKLY AS POSSIBLE? If rapid recovery from dehydration is desired, one should ingest 1.5 L (50 fluid oz.) of fluid for each kilogram (2.2lbs) of body weight lost. Normal rehydration can be achieved in the vast majority of individuals by eating and drinking normal beverages, such as sports drinks and water. Various sports and athletic organizations such as the American College of Sports Medicine (ACSM) and the National Athletics Trainers’ Association (NATA) and others have informative resources to educate on best practices for fluid replacement in athletes. WHEN IS A TUE NOT REQUIRED FOR AN IV INFUSION? If the athlete has an acute medical condition where an IV line was essential for treatment in a hospital treatment, surgical procedure, or clinical diagnostic investigation. Examples would be a severely dehydrated athlete with signs of circulatory compromise, an IV line during a surgical procedure, or an IV line in the antibiotic treatment of an acute infection. Clinical investigations to diagnosis medical conditions, such a medical imaging, may also require IV administration of non-prohibited medicine, which is permitted. In emergency circumstances, IVs may also be given by paramedical staff or physicians on the field of play, but an emergency TUE application is required as soon as reasonably possible after treatment has been received. Examples may include a semi-conscious or unconscious athlete, an athlete who cannot tolerate oral fluids, or treatment of an acute injury. IV infusions received during home visits, urgent care or after-hours clinic visits, boutique IV and rehydration services, and doctor’s office visits are not hospital admissions and would require an approved TUE in advance. Givan GV, Diehl JJ. Intravenous fluid use in athletes. Sports Health. 2012 Jul;4(4):333-9.
van Rosendal SP, Osborne MA, Fassett RG, Lancashire B, Coombes JS. Intravenous versus oral rehydration in athletes. Sports Med. 2010 Apr 1;40(4):327-46. WADA TUE Physician Guidelines Medical Information to Support the Decisions of TUECs – INTRAVENOUS INFUSIONS, Version 4.0, February 2015. American College of Sports Medicine Position Stand: Exercise and Fluid Replacement. Medicine & Science in Sports & Exercise: February 2007; 39(2): 377-390. National Athletic Trainers’ Association Position Stand: Fluid Replacement for Athletes. Journal of Athletic Training 2000;35(2):212–224.